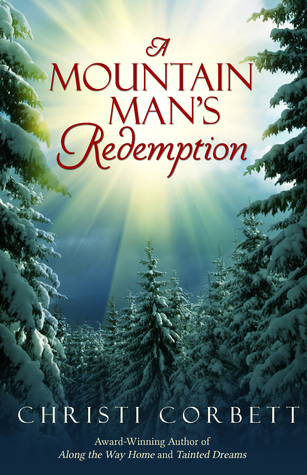 A fur-trapper who lives on his own in the Montana wilderness during the winter of 1886 is best served when he has only himself to worry about for survival, but when Philip Grant comes across an unexpected duo in need of help, he must decide whether to put his own life on the line to save them, or walk away. Philip has had a good haul for a fur-trapper this season, but he soon finds himself with only ten days left to get his furs to the nearest fort, more than eighty miles away. It will be a difficult journey, which must be made quickly. But before long, he finds himself challenged with more than just time and distance. The reader will learn that Philip has his own demons in life to battle, but none more urgent that Hannah whom he discovers battered and beaten and clutching a baby in the middle of a harsh winter. Slowly and out of necessity, Hannah begins to explain the circumstances that have driven her, literally, out into the snow without proper gear for herself or her baby. With Philip’s continued prompting, the young mother confides in the fur-trapper, telling a heartbreaking story of abuse by her husband. Wife abuse is not your average storyline in a historic novel, but maybe we should see it more often. The story is built upon a strong faith, and is historically accurate. It shows us that what we believe to be a modern problem is not at all. The reader gets a vastly different perspective in this well-written story. This is a quick read, which is what brings me to my only criticism of the story. In the story’s beginning, Philip discovers a quilt in the snow-covered woods, and although we already know he is behind schedule and has an urgent need to get to Fort Matiley before it closes, which involves crossing “the most rugged mountain peaks in Montana,” he moves far too slowly. He spends too much time deciding whether to find out what’s inside the mysterious quilt. There were a few other points in the story where I felt things needed to move more quickly, given the urgency, too. With that said, this story was nearly flawless in its delivery. If you’re looking for historical fiction, or a story with a 1880s flare, and the theme of a battered woman won’t deter you, then this is a story worth your time.